Very often natural gemstones are treated to enhance their appearance, colour, or to give them durability. The assessment scheme for this indicator is presented below. Not currently known to be treated. Routinely enhanced by traditional methods. 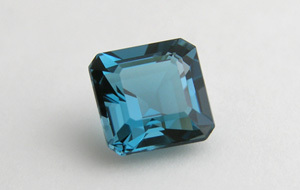 The use of heat, light and/or other agents to lighten or remove a gemstone’s colour. The use of such surface enhancements as lacquering, enamelling, inking, foiling or sputtering of films to improve appearance, provide colour or add other special effects. The introduction of a colouring matter into a gemstone to give it new colour, intensify present colour or improve colour uniformity. The filling of surface breaking cavities or fissures with colourless glass, plastic, solidified borax or similar substances, which are visible under properly illuminated 10 times magnification. This process improves durability, appearance and/or add weight. The use of heat to affect desired alteration of colour, clarity and/or phenomena. The impregnation of a porous gemstone with a colourless agent (usually plastic) to give it durability and improve appearance. The filling of surface breaking fissures with colourless oil, wax, resin or other colourless substances, except glass or plastic, to improve the gemstone’s appearance. The use of neutrons, gamma and/or electron bombardment to alter a gemstone’s colour. The irradiation may be followed by a heating process. The use of chemicals in conjunction with high temperatures to product color and/or asterism-producing inclusions.